For an instant upgrade to your home's appearance and efficiency, take advantage of the customer service at North East Home Improvement and learn about all of our siding options! With a variety of colors, materials, and styles of siding available, North East Home Improvement provides premium siding services guaranteed to satisfy! 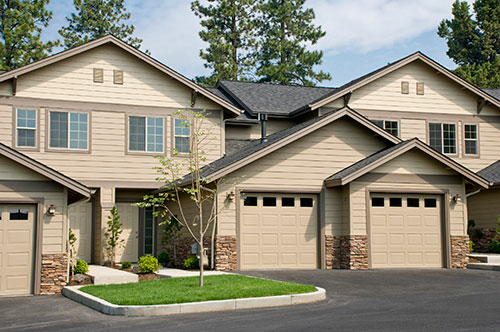 New siding can provide an instant improvement to the look of your home as well as unparalleled energy-efficiency. We have the experience and knowledge to help you make the best choice in new siding. We offer a variety of styles to complement any home. Older houses can benefit from the newest, best energy-efficient siding, saving both cost in heating and cooling as well as making a difference in the environment. If new siding is not necessary, and a repair will suffice to fix the problem, North East Home Improvement is capable of performing these repairs as well! Neglecting siding issues prevent the siding from doing its job of protecting the house against both pests and the elements. Siding also helps prevent the growth of mold and bacteria and prevents moisture penetration. Let us help you maintain your siding and prevent costly damage to your home! North East Home Improvement has everything you need to keep your siding in top shape, or to replace it entirely, giving the home an instant face lift and saving you money in the long run. If you have been considering getting an estimate on siding, don't waste another moment! Contact us today for your free quote from the siding experts at North East Home Improvement! If you’re getting tired of the same old siding, or just have some rotted pieces in need of replacing North East is by your side. Our team can handle all types of siding jobs big or small. If you don't know much about all the different types of siding or their pros and cons we would be happy to come out with samples and go over every step of it with you. Want To contact A Specialist? Serving all of Lower Fairfield County CT including Greenwich, Stamford, Darien, New Canaan, Norwalk, Westport, Weston, Wilton, Ridgefield, Fairfield, and surrounding towns. © 2016 North East. All rights reserved.